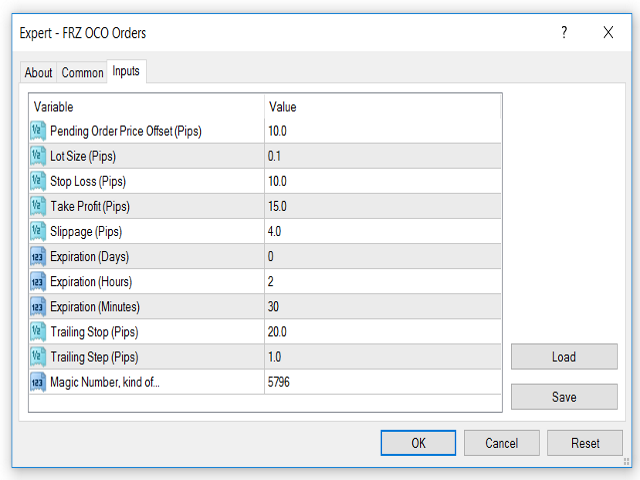 This is an OCO (One Cancels Other) order creator. This EA provides a button on the chart. When the button is pressed/clicked, the EA creates two buy and sell pending orders from a specified distance from the current price. Once the price reaches any one of the pending orders, the other gets automatically canceled. You can drag move the pending order as you like. 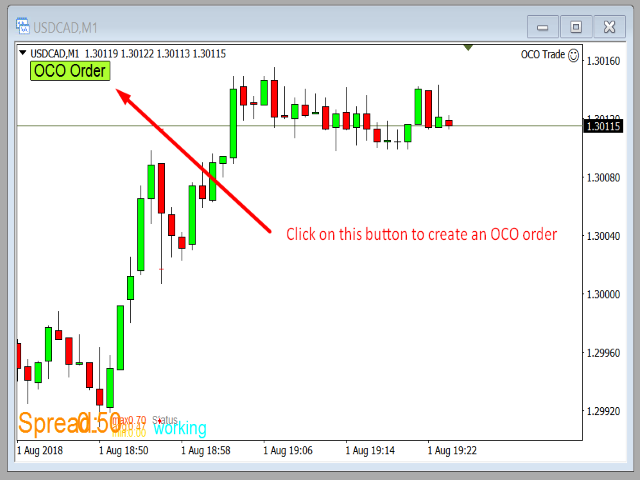 This EA also features stop loss, take profit, trailing stop and expiration time for pending.